We gladly welcome you to one of the oldest Faculties of Foreign Language in Siberia. In 2017 we marked our 85 anniversary. However, such longevity, hardly found around any other Tomsk universities, is not our main value. The main thing is a quality of our education that has been developing for decades, a unique pedagogical staff consisting of highly professional specialists and, of course, our graduates that are in demand among employers because a diploma of the Faculty of Foreign Languages of TSPU is considered as a «quality label» that guarantees employment after graduation. Professional knowledge of foreign languages ​​can literally "open borders". Having mastered one of the Faculties’ study courses, one will get an opportunity to work and study abroad, to communicate freely on the Internet and find friends outside one’s own home country, as well as to get prestigious positions in Russian and international corporations and of course to learn how to read books in the original, watch films without translation, teach foreign languages and become a part of a large multilingual world! We are waiting for talented, hard working students willing to study foreign languages! The unofficial year of the faculty’s foundation is considered 10th of December 1931, when a teacher of German language Medlina V.V. 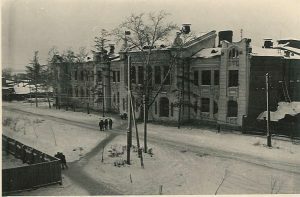 was employed at newly created Tomsk industrial and pedagogical institution – the former title of Tomsk State Pedagogical University. That is how a foreign language became a part of educational program at the educational institution. The first mention about the department of foreign languages dates back to the 1st October 1932. It was the day when the first chief of Department Kopylov V.A. was assigned to this position. The further history of the department is connected with a famous linguist Chuicha G.T. On the 1st September 1936 the Department of Foreign Languages was headed by dean of Literature Faculty who knew several European languages Beke L. L. Later he became the first dean of the Faculty of Foreign Languages – the first of its kind beyond the Urals. According to the remaining documents, a firm date of the Faculty’s foundation can be considered 1937. Back then the institution was equipped with one of the most advanced technologies of that times – a special «room of foreign languages» with radio and record player, radio set and set of tutorials. This ancestor of modern language laboratories had been successfully replacing educational it-technologies that we have today. The Great Patriotic War was a hard ordeal not only for the whole country, but also for Pedagogical University. At the beginning of the war, an ethnic German, Doctor of Philology, Professor Andrei Petrovich Dulzon was deported from Saratov to Tomsk. A well-known Germanist, who already had more than fifty scientific papers on his account. For the Faculty of Foreign Languages a whole new epoch started with his arrival: having dedicated 32 years of his life to the Faculty, Andrei Petrovich founded the world-famous Tomsk Linguistic Siberian Science School. Thanks to ever-growing pedagogical staff it was possible to create two departments of a foreign language – English and German departments. After the Second World War was over such outstanding specialists like Mezger E. Y. who moved from Germany to the USSR in search of political shelter, the future doctor of historical sciences and famous Siberian ethnographer Pelikh G. I. and other prominent specialists had joined the university. In 1947 a department of foreign languages was separated from the departments of English and German. The country was gradually restoring itself after the War along with the Faculty of Foreign Languages. New courses and profile departments were created: the Department of French Language (1962), the Department of English Philology (1976), the Department of German Philology (1976), and several other departments. In post-perestroika years they were supplemented with "Linguistics and Intercultural Communication" and "Translation and Translation Studies". Today the Faculty of Foreign Languages ​​features 5 departments, equipped with modern equipment, information and resource center, language clubs with native speakers, full-time and part-time courses, bachelor's degree, specialty, master's and post-graduate courses. More than 450 students are currently studying on the Faculty, an annual numbers of graduates is about 60 people, including part-time students. There are 3 doctors and more than 30 candidates of sciences at the department; more than 70 percent of the employees have academic degrees. The Faculty of Foreign Languages ​​trains specialists, bachelors and masters in several areas, first of all, teachers of a foreign language for schools and universities. During the five-year course, each full-time bachelor masters two languages: ​English-German or English-French. The linguistic pedagogical education at the TSPU has a long tradition. We employ not only teachers, but also foreign specialists - native speakers and organize intellectual games, contests and language clubs. Apart from pedagogical course out Faculty offers training of translators and interpreters. 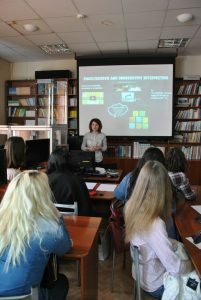 Graduates of the department of Translation and Translation Science are in demand by private translation companies, oil and gas and mining sector and other types of business. 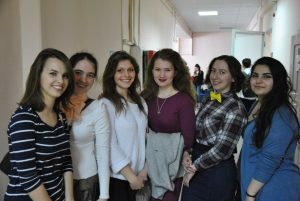 In 2016, the Department of Slavic Philology and Intercultural Communication appeared at the Faculty. 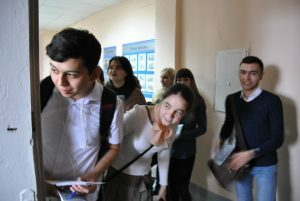 For the first time the faculty started to teach Slavic languages ​​- Polish and Russian as a foreign language (for foreign students). 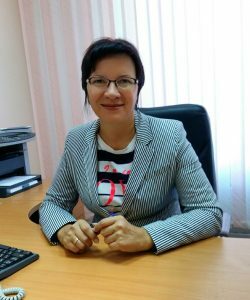 A joint educational program with the University of Wroclaw is being implemented – this is so-called double master's program, in scope of which students of the TSPU study at a Polish university and after graduation receive two diplomas. Currently the faculty is developing a new oriental course, focused on study of Chinese and Japanese. There is a Japanese language office where regular classes in Japanese and Chinese languages ​​with native speakers are held. Here at the Faculty of Foreign Languages a great attention is payed to technical equipment. IT are essential part of educational process, language laboratory rooms, an extensive library of educational materials, audio and video library, free satellite TV channels in foreign languages ​​are available in the information and resource center; the translation department has a simultaneous translation booth. But no computer programs can teach a language as good as a speech practice in a country of the language that is being learnt. Students, graduate students, teachers of TSPU regularly participate in foreign internships, including in the framework of international academic mobility programs in Germany, France, Britain, the USA, Italy, Poland, China, Japan and other countries. This is a great opportunity to improve your communication and professional skills! When asked about the demand and employment of our graduates we answer: "one hundred percent". There is not a single school in the city and the region, wherever the graduates of our Faculty have not worked. 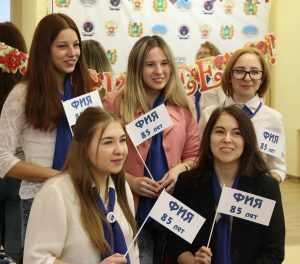 The graduates of the ​​of the TSPU are welcomed everywhere - in municipal and private schools, gymnasiums and lyceums, technical schools and universities, in the system of general and additional education. As for translators, they are also in demand everywhere: they can be found in large international corporations like Microsoft and Volkswagen, at the enterprises of oil and gas and innovation complexes, including the special economic zone TVT "Tomsk", in the translation companies "Janus", "Skif" and others. Specialists of the Faculty of Foreign languages are always in demand since our graduates have established a reputation of true reliable professionals.